You only need see pictures of Chernobyl to understand what happens when science goes wrong. The world’s greatest nuclear disaster took place 150km from Kiev, the capital of Ukraine and in 1986, part of the USSR. Science and the Soviets went hand-in-hand and a scientific approach, needless to say, was also applied to its sport and, in particular, football. Kiev represented the heart of Soviet football. Indeed, in the mid-1970s, Dynamo Kiev represented the USSR as a nation. In this period, the great British public knew little about Kiev – it was synonymous with chicken, lending its name to the highly sophisticated dish of the decade. Music fans, of both classical and rock genres, would also have been familiar with Kiev through Mussorgsky’s Pictures at an Exhibition, also adapted by progressive rock giants Emerson, Lake and Palmer. Kiev was the birthplace of Golda Meir, the fourth Prime Minister of Israel, and Igor Sigorsky, the inventor of the helicopter. And on November 5, 1952, Oleg Blokhin, one of the USSR’s greatest footballers, was born in Kiev. When anyone selects an all-time USSR XI, Blokhin is invariably named alongside legends like Lev Yashin, Albert Shesternev and Valentin Ivanov. Between 1973 and 1975, he was Soviet Player of the Year, and in the six seasons between 1972 and 1977, he was top scorer in all but one. At his peak, Blokhin was outstanding. In 1975, he was named European Footballer of the Year. The west was slightly surprised. Why? First of all, we were not too concerned about what happened in the USSR, apart from its cold war activities and the depiction of Russians in John Le Carre novels. Secondly, we considered that Russians (they were all Russian rather than Ukrainian, Georgian etc) produced robotic sportsmen who lacked charisma, excitement and flair. Blokhin proved that was not the case. He easily won the 1975 Ballon d’Or, securing 122 points, 80 ahead of second-placed Franz Beckenbauer. No less than 20 of the 26 voters named Blokhin as the first choice. There were comparisons between Blokhin and the man who had stood astride European football for the previous few years, Johan Cruyff. Blokhin was the Cruyff of the Steppes.Ten months after being named Europe’s finest player, Blokhin had still not received his trophy, which may have had more to do with East-West relations than UEFA inefficiency. Before 1975, we knew very little about Blokhin, or his Dynamo Kiev side. In 1971 they won the Russian league playing front of an average of 60,000 people per home game. 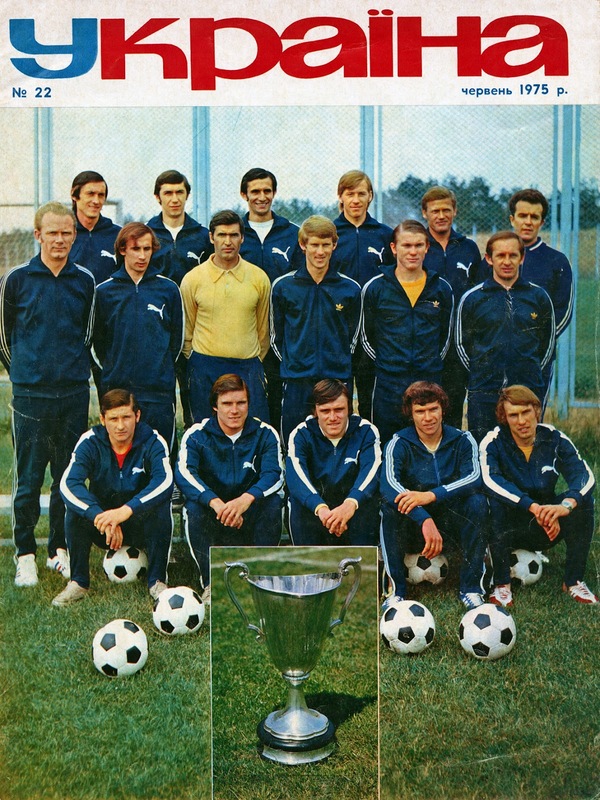 They finished runners-up for the next two years and in 1974, under coach Valery Lobanovskyi, they were champions again. But such was the Russian football calendar, they were not eligible for the European Cup until 1975-76. In the meantime, as winners of the Russian Cup in 1974, they entered the European Cup-Winners Cup in 1974-75. Lobanovskyi, formerly a plumber and engineer, adopted a deep analytical approach to the game, studying his players to the extreme. He partnered with Anatoly Zelentsov, a sports scientist, who worked at the Soviet Union’s Institute of Physical Education. As well as measuring performance, Lobanovskyi and Zelentsov built their ethos on the belief that the eradication of errors would build a very successful team. Underpinning this was a strategy of winning all home games and drawing away. It was a code that was adopted across football, way beyond the USSR. When asked how this all impacted the players, Zelentsov said: “We evaluate the functional readiness of players and how their potential can be realised. And we influence players in a natural way – we form them following the scientific recommendations. With the help of the modelling, we assemble the ‘bricks’ and create the ‘skeleton’ of the team.” Blokhin, whose relationship with Lobanovskyi was never more than ‘professional’, was one of the beneficiaries of this regime, becoming faster – he could run the 100m in 11 seconds – and more tactically aware. Lobanovskyi’s way was not far removed from the “Total Football” invented by the Dutch a few years earlier. In Jonathan Wilson’s excellent Inverting the Pyramid, he explains that Lobanovskyi called his version “universality” in that he wanted his forwards to defend and his defenders to attack. Lobanovskyi and Zelentsov devised chess-like set pieces that players practised incessantly. Technically, the Kiev players were well-schooled, fit and skilful, and in 1975, the fruits of their labour could be seen by a wider audience as they won the Russian league and the European Cup-Winners Cup. CSKA Sofia, then a very tough outfit, were beaten in the first round 2-0 on aggregate, and then Eintracht Frankfurt (5-3), Buraspor (3-0) and PSV Eindhoven were all disposed of as Kiev reached the final in Basle. Their opponents were another Eastern Bloc club in the form of Hungary’s Ferencvaros. The final had not won over the Swiss public and on the eve of the match, only 4,000 tickets had been sold. It was hinted that Oleg Blokhin may not be fit enough to play and that Kiev had something of an injury crisis. Blokhin, Volodymyr Onyschenko and Vladimir Muntyan had all received knocks in a recent league game against Ararat Erevan. Blokhin had been under intense treatment since arriving in Switzerland, said the Soviet press. In goal, was the giant Evgeniy Rudakov, a 33 year-old who had played in the European Championship final of 1972 and also in the Olympics in Munich later that year. A Moscovite, he was twice nominated in the Ballon d’Or in his career. Vladimir Troshkin (28), was another member of the 1972 USSR side. He played for the Yenakiieve Chemical Plant before joining Kiev. Viktor Matvienko (26) came from Zaporizhia in the Ukraine. He won 21 caps for USSR between 1971 and 1972. Stefan Reshko (28) played for the USSR in the 1976 Olympics and won 15 caps overall. Mikhail Fomenko (26) played for Kiev between 1972-79 and won 24 caps for the USSR. In midfield, Vladimir Muntyan (28) was an acrobatic player who featured in the 1970 World Cup. He only played for one club, Dynamo Kiev, and won 49 caps for the USSR. He is frequently named among the best players of the Soviet Union years. Anatoliy Konkov (25) was the hard man in midfield. He joined Kiev from Shakhtar Donetsk and played 47 times for the USSR. He was also in the USSR squad for the 1972 European Championships. Leonid Buryak (21) was the youngest in the team. He was the only Jew in the squad. Viktor Kolatov (25) played 54 times for the USSR. A midfielder who was signed from Rubin Kazan, he featured in the 1972 and 1972 Olympics and the 1972 European Championship. Striker Voldomymyr Onyschenko (25) became a Soviet legend and played 44 times for the USSR, scoring 11 goals. He also featured in the two Olympic sides and Euro 1972. Oleg Blokhin (22), the winner of 112 caps (42 goals) and eight titles and five cups. Arguably the greatest Soviet player in history. 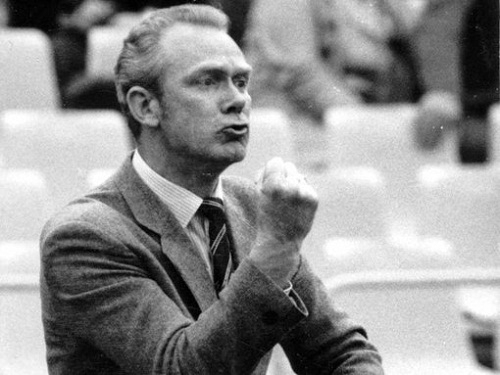 Of the team that started against Ferencvaros, eight went on to have top coaching careers. Ferencvaros had beaten Cardiff City, Liverpool, Malmo and Red Star Belgrade on their way to the final. They had Tibor Nyilasi in their side, but they were not the Fradi of old, by any means. They would finish third in the Hungarian top division in 1974-75, way behind Budapest rivals Ujpest and Honved. Pre-match predictions suggested that Dynamo Kiev would be too strong for Ferencvaros, and so it proved. The Fradi defence was slow moving and once Kiev had established control, they were seemingly content to play at walking pace. The Times commented that the outcome, a 3-0 victory for the Soviets was “little short of embarrassing…a sterile match in front of three quarters empty St. Jakob’s Park. Blokhin created the first goal of the game for Onyschenko in the 18th minute. In the 39th minute, he scored again, cutting inside a sending a long range shot into the top corner, thanks to some slack goalkeeping. Blokhin netted the third with a slick finish on 67 minutes, receiving the ball just inside the penalty area, cleverly slipping it past a defender and then rounding the keeper to slide the ball home. The commentators suggested that this young Dynamo Kiev side could become the next force in Europe. 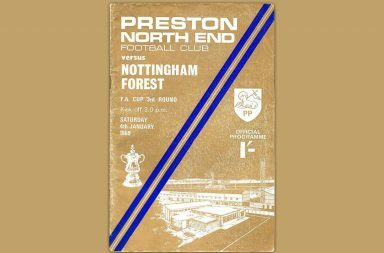 It didn’t quite work out like that, but they did beat Bayern Munich in the UEFA Super Cup later in 1975. Lobanovskyi and the government saw Dynamo Kiev as the epitome of everything that was good in Soviet sport – muscular comrades honed by science and technology. A month or so before the Cup-Winners Cup final, Lobanovskyi, who was also the USSR manager, fielded an entire Dynamo Kiev side as the national team. It was an experiment to show that international managers were at a disadvantage in trying to build team spirit and continuity. It was quickly aborted, not because his team was not good enough to perform the task, but because the political ramifications of a team mostly comprising Ukrainians representing the USSR. Nevertheless, the concept was not lost on the international media. 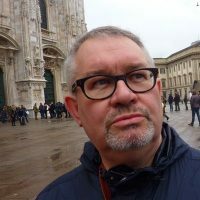 In Britain, for example, World Soccer, among others, championed the idea that a team built around, for example, Liverpool, could represent England. Ron Greenwood tried it, without success. Dynamo Kiev did achieve European success again in 1986 when they lifted the European Cup-Winners Cup again. Once more, this was accompanied by great expectations for the USSR national team, but in Mexico that year, Blokhin and his team-mates flickered brightly before being surprisingly beaten, which really sums up the whole Soviet football experience.